Global production of iron ore was at an all-time high last year, and is expected to continue to rise for at least the next two years confirming recovery in the steel industry but also overall global economic activity. 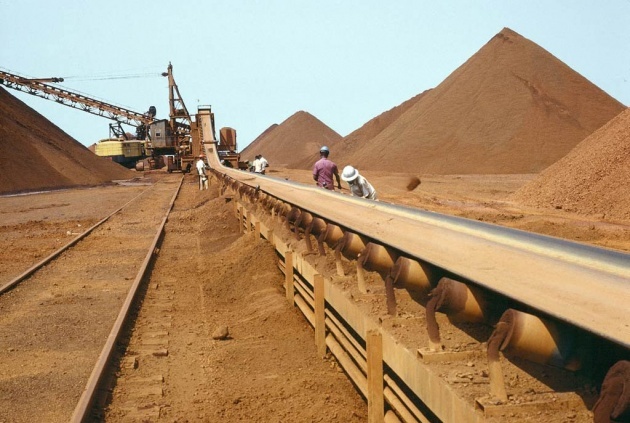 Iron ore use will increase from 1.92 billion tons in 2011 to about two billion tons in 2012 and 2.08 billion tons in 2013 according to Report published by the UN Conference on Trade and Development (UNCTAD) in cooperation with the Sweden-based Raw Materials Group. The Iron Ore Market 2011-2013 Report statesthat the amount of iron ore produced globally in 2011 was 1.92 billion tons, representing a 4.7 per cent increase from 2010. While an increase in demand will mean higher prices, the report predicts that prices will decline from 2013 onwards as supply gradually adapts to growing demand. Iron ore had been part of a global pricing cartel. Uncertainty over prices and a decrease of corporate concentration signal an evolving environment. Since almost all iron ore producers and steel mills have abandoned the benchmark pricing system, there is widespread confusion about prices, and the Report predicts that price volatility will increase with various pricing practices in place. Further, the report notes that corporate concentration in the iron ore industry decreased, with new production companies emerging in many countries, as well as small and mid-sized producers, which will require a period of adjustment for market shares. Does the growing iron ore production bode well for global economy? There are other factors that signal risks, if not a downturn. (Read our Blog for Film: "Lower Growth Prospects - Higher Global Risks Global Economy/'). However, particularly in the "emerging Economies" as China iron ore production has been a good indicator of continued expansion in the construction, manufacturing and even service industries. Some regions as Europe may lag, but overall the globe indicates ongoing economic growth, of course especially for producers as Australia, Brazil and Canada - the new "ABC's" of global growth!